Some transfer news now and Club Vass\’ Pro Coach Colin \’Whippy\’ Dixon has signed to Starboard/Severne. The Dahab Slalom Week Champion is very excited about his new gear – you can read more over on the Boards website HERE. 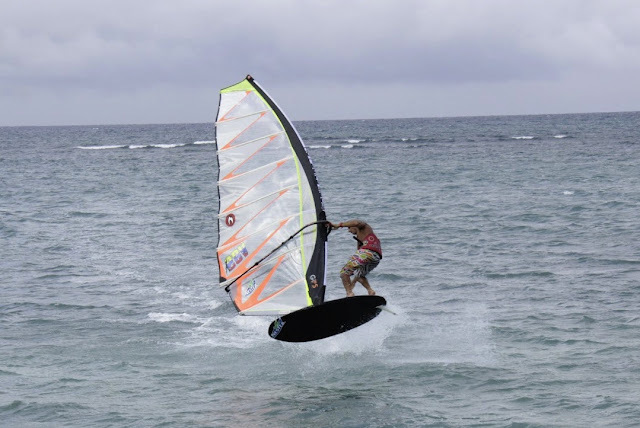 Always one to take a different approach, Diony Gaudagnino has been spotted testing some new slalom gear in a slightly different style – check him out Spocking on the new Hot Sails GPS and AHD Slalom board! PM Update - Big waves on Sal and some seriously long barrels from Skeleton Bay.